Plank a Day- Check? I did do a plank 5 out of 7 days. A GIANT improvement from last week. Check? Write my Weekly Chase Goals over the weekend- Although I did not actually write the post over the weekend, I did spend time thinking about my goals. So, a step in the right direction. Check? The beginning of the week I did snack, and not the healthiest. However, I snacked much less and much more healthy towards the end of the week. Really push myself at Stroller Strides. The Stroller Strides workout is comprised of interval training and power walking with the stroller and resistance bands. You can really make the workout as hard or as easy as you want. Lately, I feel like I haven’t given 110% during the workouts. My goal is to leave it all out on the trail this week. Don’t let out of town guests get in the way of my cross training. We have had a seemingly steady stream of out of town guests since Nora was born 7 months ago because we live over 200 miles from all of our family. I always make time to run when we have company here but I let the cross-training fall by the wayside. We have guests coming Friday-Sunday this week so I really want to make it a priority to fit my cross training in while they are here. Monday- Apparently a rest day since I didn’t do anything today! Do you feel guilty fitting in your workout when you are hosting out of town guests? Lancaster MRTT Meet & Greet! The Lancaster Chapter of Moms RUN This Town has only been around for about 3 weeks but has taken off like wildfire! I started the chapter on June 14th and we now have over almost 60 members. This group has gone above and beyond my wildest dreams already. It’s so exciting! On Sunday, July 15th we are going to have our first get together as a group. A Meet and Greet if you will. 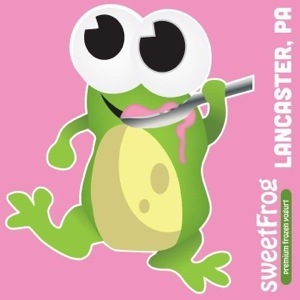 Join us at Sweet Frog Lancaster on July 15th at 7:30 pm. Located on Lititz Pike in the same shopping center as Giant, Michaels, and Inside Track. You can RSVP to the event through the Lancaster Chapter MRTT Facebook Page. I can’t wait to meet all of the wonderful moms of the Lancaster Chapter! I had 2 goals last week for The Weekly Chase. The first was to complete my first week of half marathon training. The second goal was to start the plank a day challenge and tweet about it. 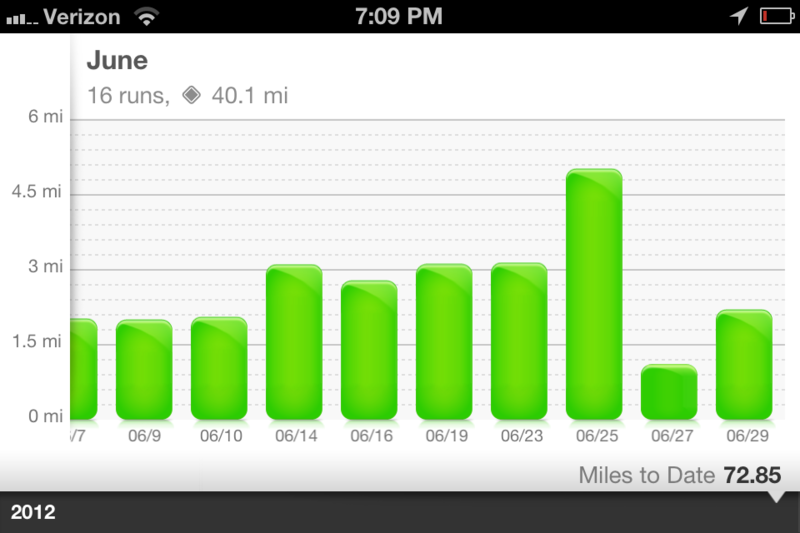 I must say, I’m kind of disappointed in myself for not pushing a little harder to reach my goals this week. I did complete all of my scheduled runs BUT I missed a day of cross training. I could come up with every excuse in the book as to why I missed it but what it came down to was I just didn’t feel like it. But alas, this is a new week! The highlight of my running this week was participating in The Color Run in Philadelphia. I am planning a full race report post later on this week! A plank a day should have been SO easy but I only did it 3 times AND I never tweeted about it like I planned. #plankaday is definitely showing up on my goals list again this week. 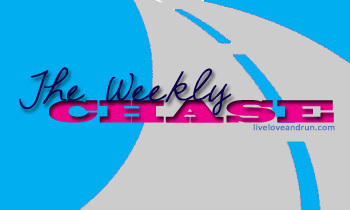 I’m excited about starting fresh with a new week of The Weekly Chase! Do a plank a day, every day. Simple. Right? Write my Weekly Chase post over the weekend. 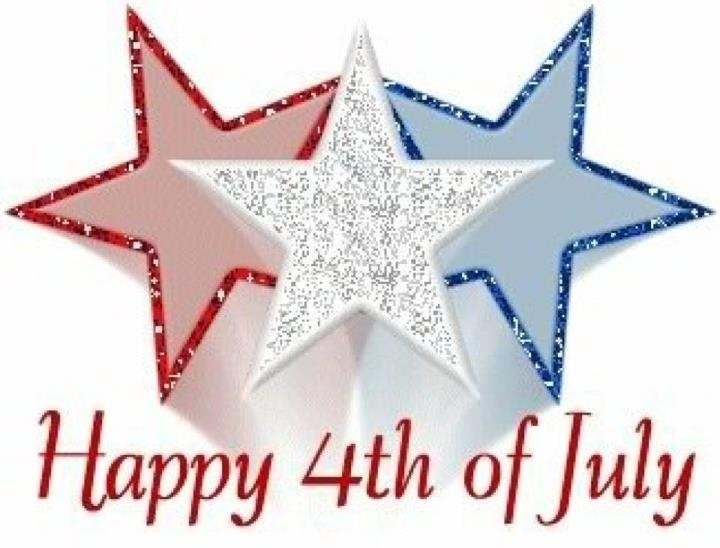 I will have more time to thoroughly think through my goals and really set some great goals for the week ahead over the weekend rather than scrambling to get it done along with all of my other typical Monday duties. Curb the snacking, or at least the unhealthy snacking. If I feel the need to snack I will go the HEALTHY route instead of the unhealthy. 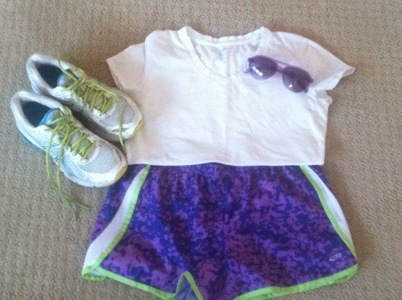 My Flat Mama this weekend is for The Color Run in Philadelphia on Sunday. I will be running 3.1 miles of colorful goodness along with my sister, our friend and neighbor growing up, and over 22,000 other happy runners! There will be several other Moms RUN This Town Lancaster Chapter members there too. We are heading to Philadelphia tomorrow to pick up our race packets and enjoy the city before the run on Sunday. It’s supposed to be a scorcher this weekend with temperatures reaching over 100 degrees. Luckily the race begins at 7 am. Stay cool and happy running this weekend! It’s time for an update now that week 1 of The Weekly Chase has come to a close. I am happy to report that I accomplished my goals from last week! Goal #1: Complete the first week of my 16 week half marathon training! 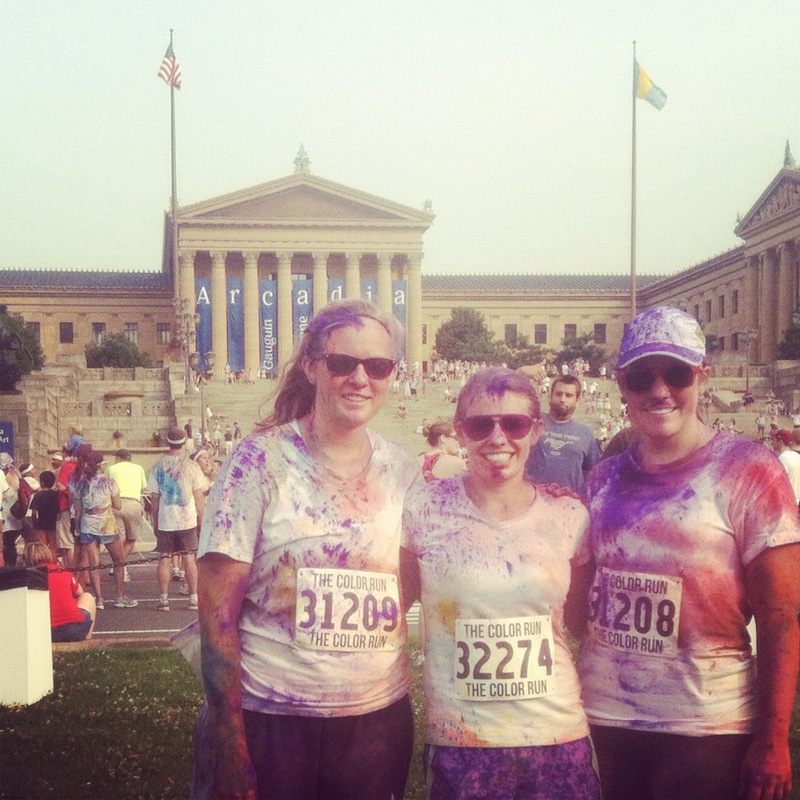 Sunday: Kick off my first “long run” day at The Color Run in Philadelphia with my sister and a friend. I can’t think of a better way to celebrate than at the happiest 5k on the planet! Goal #2: Start the Plank a Day Challenge for the month of July and complete a plank a day followed by posting about it on Twitter using the #plankaday hash tag. I can’t wait to read all of the other Weekly Chase goals this week! I’m not racing this weekend but I wanted to give an update on last week’s Flat Mama Friday. 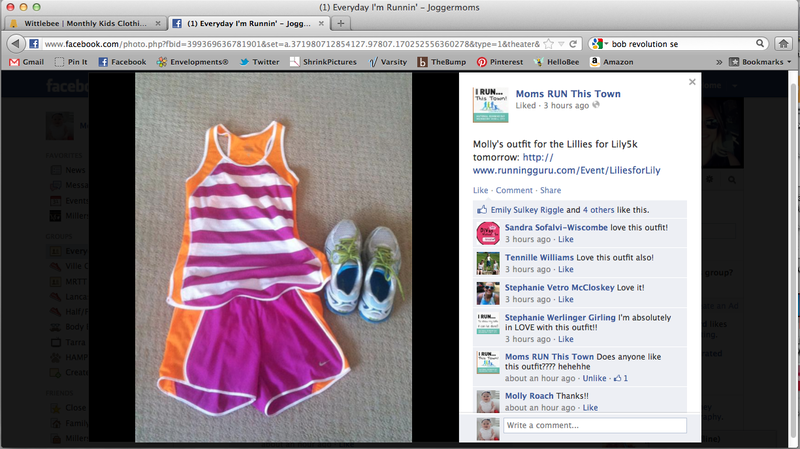 My outfit became a Flat Mama celebrity on the Moms RUN This Town Facebook page within hours of posting! I had no idea but Pam of Moms RUN This Town tweeted to me to let me know! I wore the Flat Mama for the Lilies for Lily 5k. This was my first race EVER! 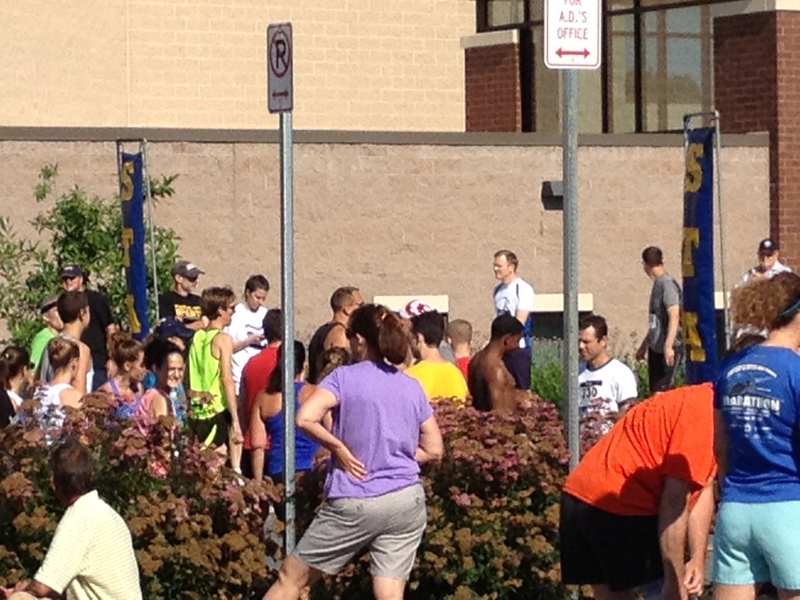 It was a fairly small race with around 250 participants. Perfect size for my first time out. I was so nervous about starting out too fast and not being able to finish. I ended up finishing with a ton of energy and realized I probably could have pushed myself a little more. Nora wore purple stripes too! I have no idea if this is typical of most races but registration took a LONG time, even for those of us that were pre-registered! Also, the race started almost 15 minutes late. Is that normal? Overall, it was a great experience and I definitely plan to do it again next year. 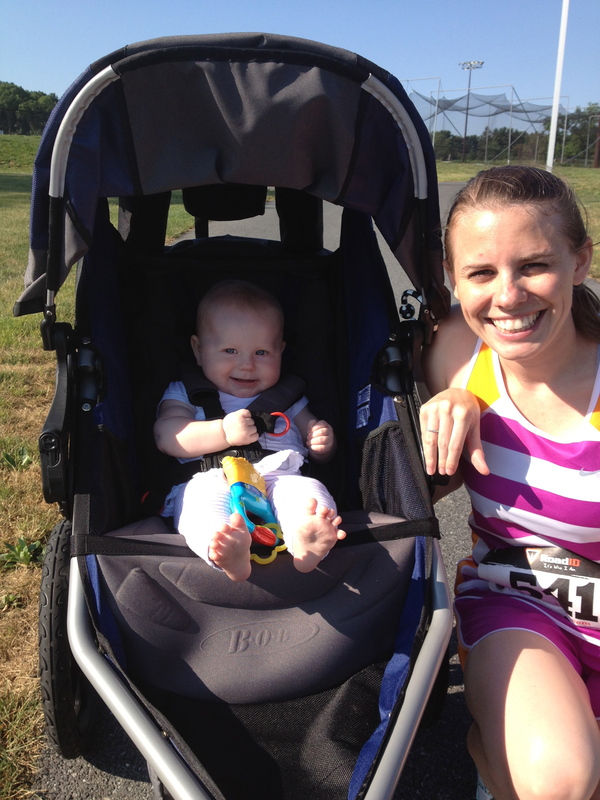 My goal for next year’s event is to run with Nora in the jogging stroller! Although she and my husband were great cheerleaders this time around. Good luck to everyone racing this weekend!